Ten seconds can be the difference between winning and losing. Fnatic versus Team Vitality had the makings of a firework party, with both teams showing no shyness at pulling the trigger. Vitality’s comp had the makings of a hard-engage one with a Rakan/Gragas/Trundle core (and a Ryze to boot for some 1-3-1 flexibility), and Fnatic’s deathball (Galio with a Nocturne spotter, Vladimir, Alistar, and Azir) could take health bars from 100 to 0 expeditiously. Although the game delivered on its promise, there was an air of “what if” following Vitality’s dominant victory. Mateusz "Kikis" Szkudlarek seemed to take over the game from the start, a rather unnatural occurrence against Mads "Broxah" Brock-Pedersen, known for his steady jungling and for not giving up an inch (usually). Kikis took over Broxah’s jungle, first by taking out the scuttle crab uncontested, then using his bottom lane’s pushing advantage to secure Gromp and the Blue Buff (and causing Zdravets "Hylissang" Galabov to use his flash to escape the situation following a poor contest). Later on, Kikis was free to secure the scuttle crab on the other side as Broxah opted to prevent Rasmus "Caps" Winther from dying to Daniele "Jiizuke" di Mauro in a 1v1 situation, then sent Broxah back to base (3:55). 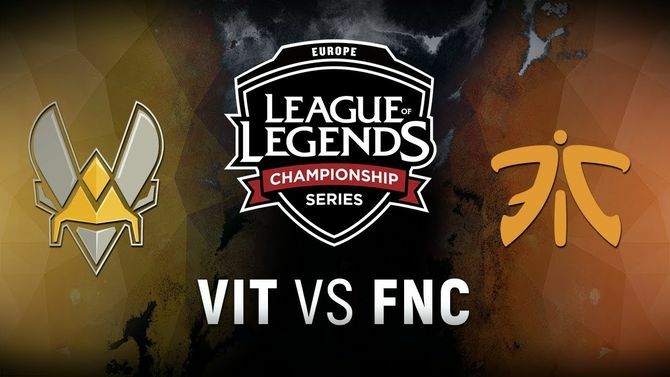 Although Vitality’s Jakub "Jactroll" Skurzyński dies at the same time, Fnatic spent Gabriël "Bwipo" Rau’s flash in the process, making the bottom lane flash-less. With Kikis relentlessly counter-jungling Broxah and limiting his options, Broxah attempted to recover through a lane gank in the bottom lane (6:50) but the matter completely backfired (with Vitality claiming a kill), causing him to be away from jungle experience (and lose his red side camps, Red Buff included). He then struggled to reach level 6, doing so at the 9:03 mark. At the time of levelling up, Broxah only had one option: gank bot lane through the use of Nocturne’s ultimate, as Caps is recalling. Kikis positioned himself and capitalized on the matter, putting a final nail on the game at 9:30, with a 3-for-1 situation in Vitality’s advantage. Fnatic never got close to taking down a tower, despite having a solid team fight at the 26-minute mark, showcasing the full power of their wombo combo. The rest of the game was all Vitality’s, and there was nothing Fnatic could do. The reason that led to Fnatic’s loss is simple: their inability to obtain information that would have allowed them to track Trundle’s whereabouts early on. They could have had that information, and it was an extremely close call. The margin was effectively 10 seconds. What happened is that Bwipo misclicked a ward at level 1, then it timed out way too early, so Broxah had to gamble whether the [Trundle] was doing the bot side scuttle or the top side scuttle, it was a complete 50-50. If he had gone top side, we would have won the game. But he went bot side, and Trundle was there. Their bot lane had push, their top lane had push, and mid lane couldn't move. They saw that our jungle was on the bot side and took the wrong gamble, just a pure 50-50. It was almost impossible to play because we lost the 50-50 gamble. The facts check out; Bwipo’s ward was placed at an awkward position at the 32-second mark and timed out at 2:02 before Trundle went towards the scuttle crab. Bwipo attempted to correct that by using his Ghost Poro rune to secure vision (no matter how temporary) in a specific brush in the river (between mid lane and dragon), but Jactroll eliminated it seconds after it was placed. Had Fnatic obtained that information by placing the ward a little closer to Vitality’s wraiths, the worst-case scenario would have effectively been the two junglers trading sides, as the top-side scuttle crab and Kikis’s blue side of the jungle were ripe for the taking. Broxah would then go on to scale to level 6 at roughly the same time as Kikis (minute 7) and gain the ability to punish Jiizuke’s aggressive play in the mid lane, putting pressure on the lane even without a gank occurring. The matter would then free Caps to help in team fights around the bot lane, giving way to a completely different game. We could have not failed a ward at level 1, or proactively warded their jungle at level 1, which we did against G2. Broxah really stepped up in terms of prepping and told the entire team: If we have this match-up, we’re doing this-and-that. He had six-seven jungle paths ready for this game, so he really took [the Vitality] game to heart and showed why he is Fnatic's jungler.